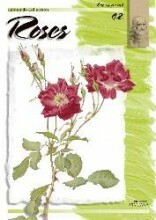 Roses No.42 contains a collection of roses painted in watercolours. These are based on a botanical publication illustrated by A. Parsons. Each trade pack contains 3 copies of the same title. Click the button below to add the ROSES No.42 to your wish list.